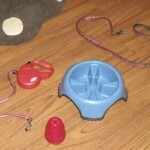 There are so many options to decide on for accessories, toys and necessities for your new dog. When you walk into the pet store it can be very overwhelming. During the process of writing this article, my wife had the movie Turner and Hooch on one day. Have you seen it? Tom Hanks, has to take care of this massive dog (Dogue de Bordeaux or French mastiff) and there is a section in the movie where he fills an entire grocery cart with products needed for the dog. In the first part of this article posting I started the list of helpful items on my list. I will continue with a few more that I find essential. Your dog should have a bed of its own. Or a place in the home designed for them in mind. If you practice early and consistent training your dog will learn that that spot is for them and a safe and secure location to nap or sleep. Catherine has invested in a number of doggy beds for our Beagles. Not all have lasted very long. Now there are tear proof or at least tear-resistant models out there. I believe that one would be a wise investment. Up until a couple of years ago I would have not considered a crate for my dog. 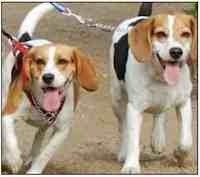 Catherine invested in one for our Beagles when we started planning longer trips with our dogs in our travel trailer. We decided that having a safe and secure environment for our dogs during the drive would be helpful and give us a peace of mind in unfamiliar locations. We have a Petmate kennel for our dogs; we choose a large kennel that came with an adjustable divider. It can be folded down in a minutes and stored away in a closet or under a bed when not in use. The last product I recommend may not get everyone’s approval but I will include it and explain why shortly. 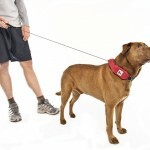 It is a flexible extending leash. We have a Flexi Brand version there are a number of other brands. 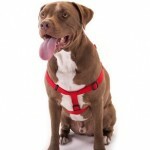 If you are a dog owner that is thinking of this accessory? Please read up and choose carefully, this product has pros and cons involved. Why do I recommend having one? It occurred to me when we were reviewing our household safety equipment. Smoke alarms, fire extinguishers, carbon monoxide alarms and the like. I even invested in a second floor emergency fire ladder for our home. It occurred to me during a conversation with my wife about the evacuation of our home in case of fire. We would need to save our pets before we could even think about ourselves. What do you do if you live in an apartment or your bedroom is on a second floor? Cats it is said land on their feet but a fall can seriously hurt your dog. So I recommend having an extending leash-line product. They are available in several weight classes. I made sure I got one for each of our little guys. God forbid a fire did break out which I hope we never have to experience again. My plan was to have the extending line beside the fire ladder. With the option to let out the line slowly with the thumb button you can lower your dog to the ground more slowly and with less chance of injury. That is the evacuation plan for our home and bares thinking on. 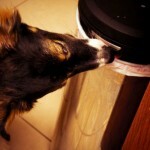 Your dog is now a member of your family and needs to be cared for and protected. These are my personal product tips and I will identify that I am not an expert or authority on the subject. These work for our particular dogs but may not be right for your situation. The very best thing you can do is research products and tips through sites like this one and other reputable sites online. Ask your vet or dog trainer and finally choose the best products for your particular situation and dog.